Carolien started C-Change late 2015, and brings over 15 years of strategic and operational experience with for-profit and 'for-impact' organisations alike – most recently acting as interim COO at the Bertha Centre for Social Innovation & Entrepreneurship in Cape Town South Africa. At Monitor Deloitte NY, she built out the global impact investing advisory work and co-led its public sector social innovation offering. Her clients included leading corporations such as Estee Lauder, Heineken, Pfizer, and Shell, as well as impact pioneers such as B Lab, Ford Foundation, and the World Economic Forum. 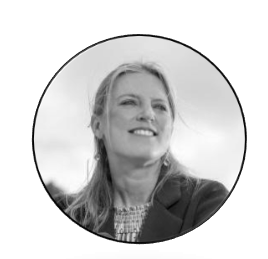 Carolien facilitated multiple convenings including Rockefeller Foundation’s 2013 Global South Impact Investing Conferences, and has contributed to ground-breaking reports, including the Acumen Fund’s report 'From Blueprint to Scale'. She is part of Cornerstone Capital's Global and B Lab's European Advisory Council, and holds an MBA from Columbia University in New York. Tako Bruinsma joined C-Change as the Head of Product, taking responsibility for the rollout of our Impact Pro(filer) blockchain technology and community portals. Trained as a physicist, Tako brings extensive experience in product and project management in Information Technology. In his career, he has built numerous leading product teams in the tech startup and corporate world. Previous positions included that of Head of Product at gas delivery startup Chama, FashionTrade, TomTom and Agendia. To C-Change, Tako brings the much needed tech and product expertise that our team needs to effectively inject the power of technology into our work and vision for a scaled, connected ‘LinkedIn for Impact’. Having started her career in the finance sector in London, Nina comes to C-Change after ten years of living and working in emerging markets, most recently India, Rwanda and Palestine. Nina brings an unusual blend of experience working across different elements of the investment ecosystem, including as an Investment Officer for the International Finance Corporation in Africa, as an Advisor to several innovative social enterprises and as an Advisor to government agencies and ministries striving to drive increased private sector development, such as the Rwanda Development Board and the Rwanda Ministry of Finance. Additionally, Nina has been the Country Head for the Tony Blair Africa Initiative (AGI) in Malawi and an Advisor to the Deputy Prime Minister for Economic Affair of the Palestinian Authority. Nina is passionate about enabling purpose led business as a force for positive economic and social change across the world. As Partnership Lead, Josephine coordinates many of our local and global partners, is an active part of our innovative finance agenda, and will be taking the lead in the roll out of pilot initiatives within our latest program: BIZ4SDGs. Alongside, Josephine has done a lot of work building out our Impact Pro(filer) technology and has worked as a community manager for the Dutch SDG Gateway. Josephine holds an MA in International Relations, thus bringing both theoretical knowledge and practical experiences to our C-Change team and journey. Hatty joined C-Change after twelve years working for the UK Parliament. In that capacity, she worked on developing international partnerships and delivering governance focused capacity building programmes, and has worked in countries including Pakistan, Kenya and Sierra Leone. Being a qualified project manager, Hatty supports our fundraising and communications work while completing a PG Diploma in Infectious Diseases from the London School of Hygiene and Tropical Medicine. Ashlee is a specialist in emerging markets. She is a practitioner of human centered design (HCD) and applies HCD principles to her work in agriculture value chains and startup ecosystems. Ashlee is passionate about embedding social impact goals and principles into business units and KPIs in order for organizations to achieve their impact goals and be accountable, internally and externally. Ashlee is now part of a renowned team working to improve the lives of smallholder coffee farmers in Africa and Asia. She relocated to The Netherlands after 6 years in Rwanda, Ghana and Côte d’Ivoire, working in social impact strategy and innovation. Ashlee earned her MA in International Development at New York City’s The New School and a BSc in International Business at Chapman University. Maarten is a specialist in the field of responsible investment, ESG integration, and impact investing. He was the lead author of the UNPRI guide on the integration of ESG considerations in Private Equity, and recent co-author of the report SDG Investing: Advancing a New Normal in Capital Markets, a C-Change commissioned report by the United Nations. Over the last decade, Maarten worked as a strategy consultant in Amsterdam, advising asset owners and asset managers. He has a PhD in Economics and an MA in Philosophy from the University of Amsterdam, and was avisiting scholar at Stanford University. Maarten is currently involved in an ESG & Private Equity research effort at the University of Tilburg, and serves as adjunct faculty at Webster University in Leiden. To C-Change, Maarten brings a mix of capital market and impact reporting experience, a critical area of expertise in our mission to trigger and equip the private sector to make a difference. Truus Huisman is purpose driven, with broad and in-depth experience in communications, external affairs, issues- and crises management and sustainable development, gained in Brussels, London, Paris and the United States. After a successful career at Unilever as VP Sustainable Business and Communications, Truus joined IKEA Foundation in 2018 as Head of Communications. Truus is keen to demonstrate that sustainability should be at the core of business, finance, society and each of us - and is therefore not only a knowledgeable expert, but also a true advocate for our work at C-Change.